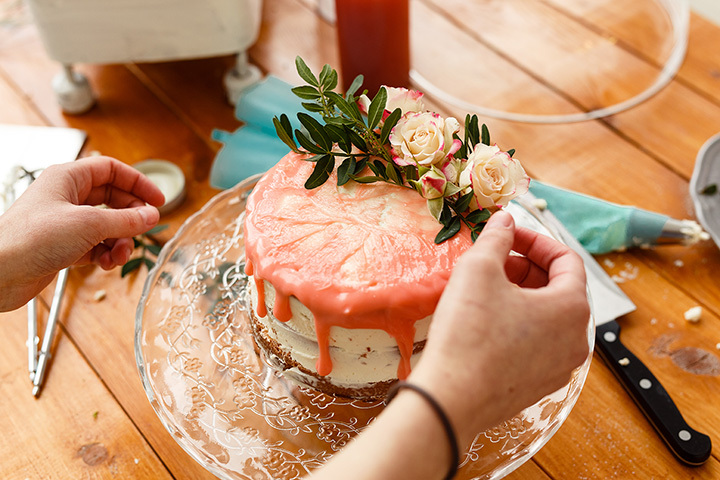 Whether you’re celebrating a birthday, wedding, retirement party, corporate event, or just need a little more sugar in your life, purchasing the right cake can make or break the event. Make sure your occasion is a rousing success by using one of the following 10 best cake shops in Maryland. Fancy Cakes by Leslie is one of the most decorated cake shops in Maryland. They’ve won the Bride and Groom “Best Wedding Vendor” award, the Knot best of weddings, “Best of Bethesda,” and have been featured on “Ace of Cakes,” the “Today Show,” and “Ultimate Cake Off.” Why? Because their cakes are original, extraordinary, and delicious. Cake’s Plus in Laurel, Maryland, creates custom wedding cakes, custom cakes for any occasion, and cupcakes of the month. They’re willing to work with you to make your dream-cake come to life. Sugar Bakers Cakes in Catonsville, Maryland, has won a tremendous number of awards, including multiple years of the Knot’s “Best of Weddings,” Wedding Wire “Best of Baltimore,” Bridge and Groom awards, and much more. Their cakes are gorgeous and must be seen to be believed. Smith Island Baking Company in Crisfield, Maryland, has been featured in the Wall Street Journal, Southern Living, Slate, People Magazine, and more. They ship their products around the world and offer cakes for eight and cakes for 16, as well as birthday cake packages. The Cake Studio in Phoenix, Maryland, not to be confused with the Cake Studio in Gwynn Oak, offers custom cakes for every occasion. Schedule a cake tasting before purchasing to make sure you’re getting exactly what you want. The Last Crumb of Cake in Gaithersburg, Maryland, sells homemade cupcakes and cake pops using the same recipe that the owner/chef’s mother used. Get yourself a delicious pound cake, customized specialty cake, sheet cakes, and more. Cakes to Die For has a different kind of aesthetic than other cake shops. They can do your traditional wedding and birthday cakes, but aren’t afraid to branch out to more untraditional designs. Flavors Cupcakery and Bake Shop may sound familiar to readers. They are the season four winners of “Cupcake Wars” on the Food Network, and winner of the “Best Cupcake in Maryland” award from The Daily Meal. But they’re not just cupcakes. They bring the same care and love to their delicious traditional cakes, too. Desserts by Rita has two Maryland locations, including one in Ocean City and one in Havre De Grace. They’ve won numerous awards, including from Wedding Wire, Coastal Style Magazine, and more. They offer custom cakes for every occasion.